Description Photo courtesy of Jean Irwin Hoffman. Joint christening of Jean's second daughter, Susan Hoffman and twin sister Joan Irwin Green's first daughter, Carter Green. 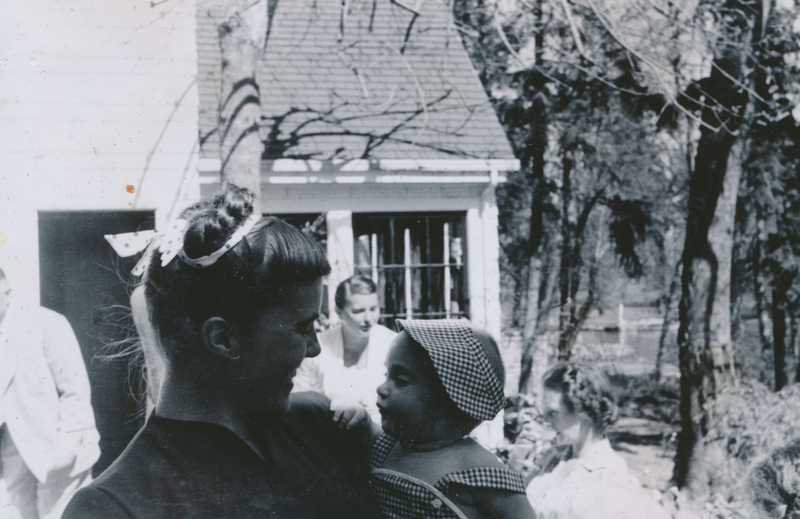 Jean Irwin Hoffman is pictured holding her second daughter Susan Hyde Hoffman. Photo taken at home of the Irwins on 4330 Lakeview Boulevard.